As Sephora prepares to celebrate 20 years of operating in the US by hosting a two-day beauty convention in Los Angeles later next month, new numbers from YouGov Plan & Track show that the nation’s young women have become increasingly fond of the cosmetics retailer. 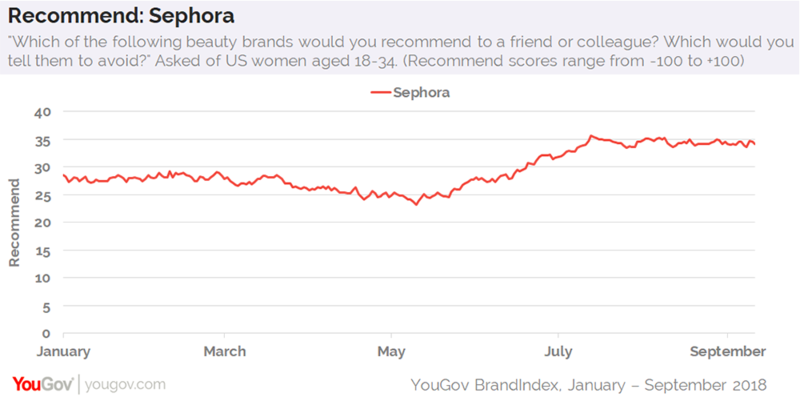 For instance, Sephora’s Recommend score — which asks shoppers if they’d either recommend a particular brand to friends and colleagues or tell them to avoid it — has risen from a low of 23 in May to a high of 36 in July among US women aged 18-34. Opinion of the brand has remained fairly steady since then. In early May, around the time Sephora’s Recommend score began rising, Sephora was one of the first few brands to leverage Facebook&apos;s new augmented reality feature on its Messenger app. About a week later, Sephora announced plans to debut a "clean" product category, which won&apos;t contain certain unwanted ingredients. Then, near the end of the month, news broke that Sephora would begin offering in-store beauty classes for shoppers who identify as transgender or non-binary. Headlines such as these, it seems, have helped lift the brand’s Recommend score among millennial women. 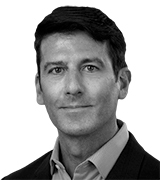 Another metric that appears to be benefiting from the increasingly favorable view of Sephora is Purchase Consideration, which gauges how open consumers are to buying from a specific beauty brand when next on the hunt for cosmetics. 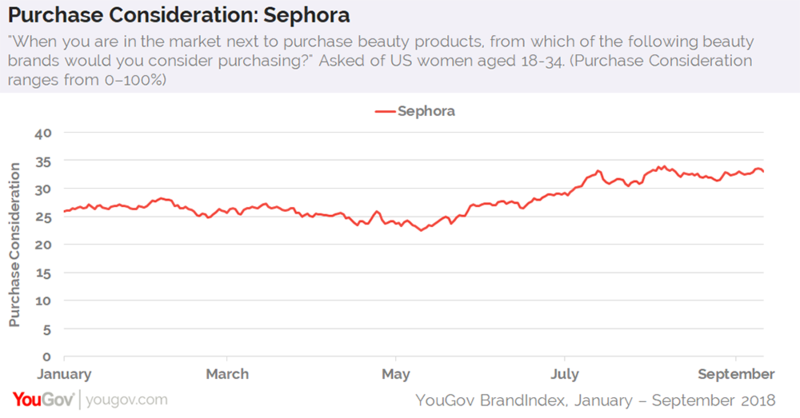 On May 1, for example, 24% of US women aged 18-34 showed interest in shopping at Sephora. Today, that number has increased to 33%.